Alan Harvey is the Associate Pastor, having served in this position since September 1998. He is a native of Union, South Carolina. Alan earned his Bachelor of Science in Home Economics from the University of North Carolina at Greensboro and worked in restaurant, hospital and nursing home food service for six years before beginning his studies at Columbia Theological Seminary. He and Dr. Negley were classmates and he received his Master of Divinity degree in 1986. Prior to coming to First Presbyterian, Alan served as the pastor of Pearisburg Presbyterian Church in Pearisburg, Virginia, for twelve years. In 2007, Alan received his Doctor of Ministry degree from Pittsburgh Theological Seminary, which included studies at the University of Aberdeen, Scotland. As a general associate, Alan preaches, teaches and provides pastoral care. He is a member of Session and is the staff liaison to the Deacons, Congregational Care, Community Outreach, Local Mission, Hospitality and Fellowship, and Membership Development Committees. He is a Stephen Leader. He also enjoys doing creative ministry of which the Bright Sunday celebration on the Sunday after Easter is in its sixteenth year. Several years ago, he organized the Festival of Church Artisans – a program to teach art and craft skills to others for the benefit of the church. 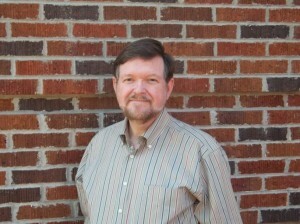 Alan enjoys cooking, crafts, gardening, hymn writing, reading, travel, walking, and attending concerts and the theater. He and his parents welcome every opportunity to return to their other home in North Carolina.